Jean doesn't like clutter, but does collect several things. Among them are Books,Tarot Decks, Fiestaware China, and Handbags. Fiestaware glassware is able to be used both at home and at restaurants. The dinnerware and pottery are a simply designed, colorful, and durable line of glassware considered to be the first “real” china in the United States. The vivid hues and graceful, yet simple curved lines, captured the interest of both workers in the restaurant industry, and housewives. One way to identify Fiestaware is by the design of concentric circles that appear somewhere on all of the pieces. Plates have the circle groupings at the edges, as do mugs and cups. 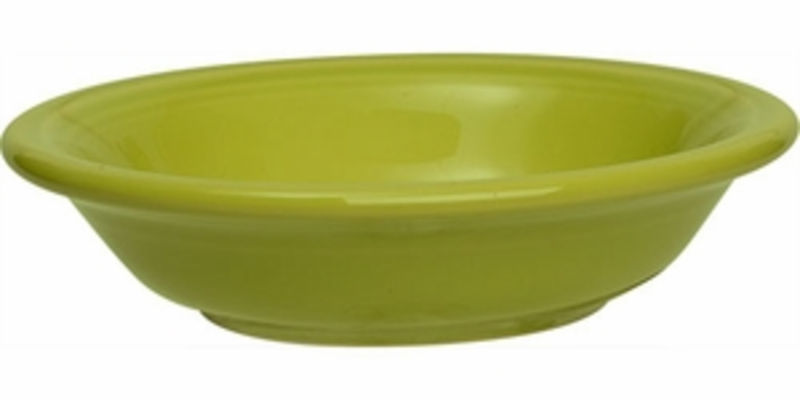 Bowls have the identifying circles inside them on the inner bottom, and on the upper edges. 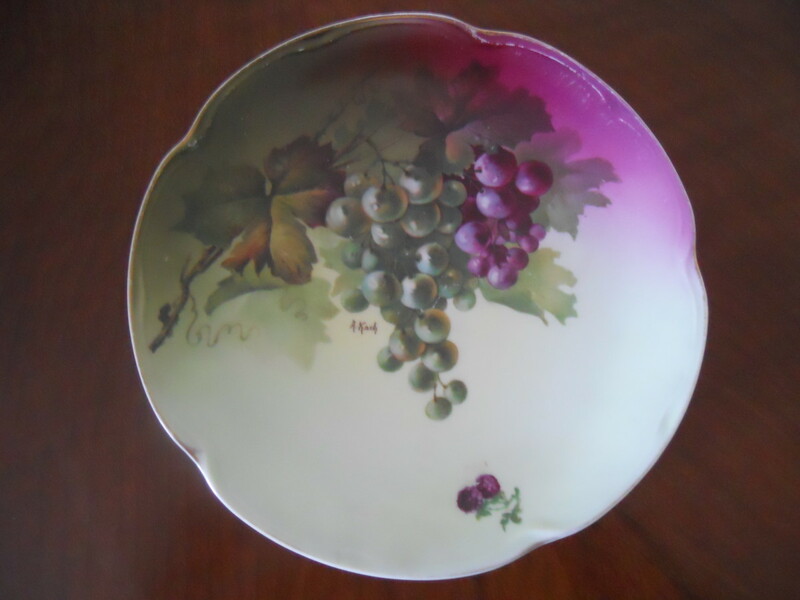 Oval platters have the circles around the edges as well, and usually, on the middle bottom of each piece, there is another smaller grouping of circles. When Homer and Shakespeare Laughlin began a pottery company in 1871 in East Liverpool, OH, they never dreamed that their china would become so popular, not only for home and restaurant use but would go on to be prized collectibles worth a great deal of money. 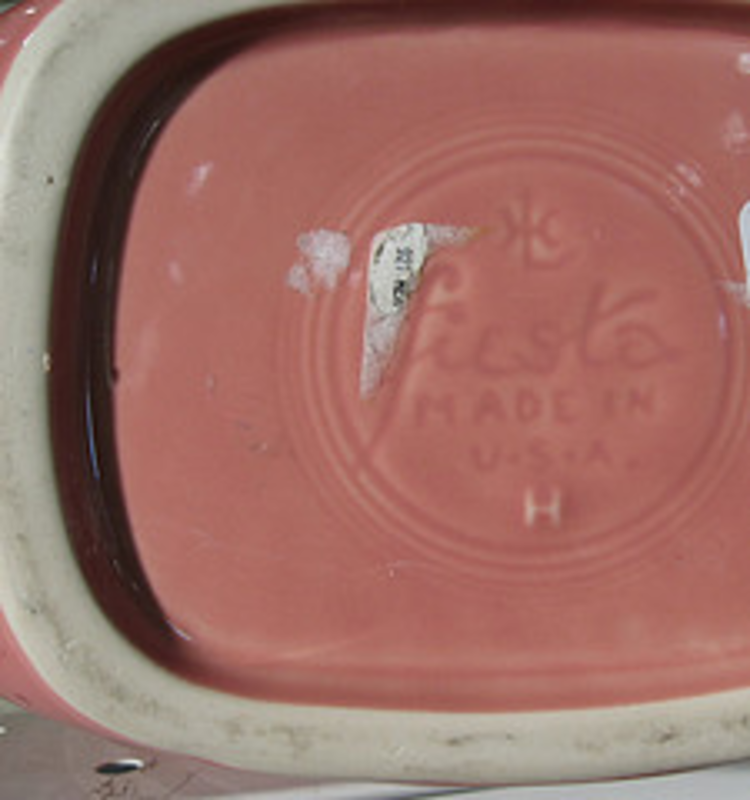 The “vintage” Fiestaware was made from the 1930s until 1973 when production stopped. 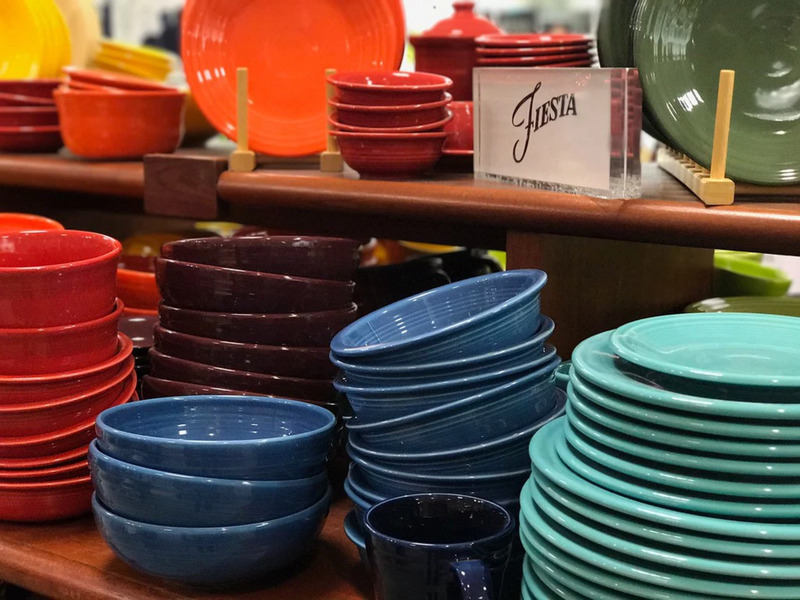 Fiestaware production began again in 1986, with a whole new rainbow of colors and lovely serving pieces, along with the everyday place settings that are similar to the vintage Fiesta. Both categories are charming and highly sought out by collectors. In 1872, the East Liverpool City Council offered a $5,000.00 prize to whoever would agree to build a pottery in their town. The Laughlin brothers had experience in sales and production, but had little knowledge of pottery making at that time. By 1876, their business had 2 kilns, 60 employees, and was producing 500 pieces of dinnerware on a daily basis. The great quality of this pottery won the highest award at the 1876 Centennial Exposition in Philadelphia, PA. Shakespeare left the pottery business, and Homer continued onward himself for 10 years. 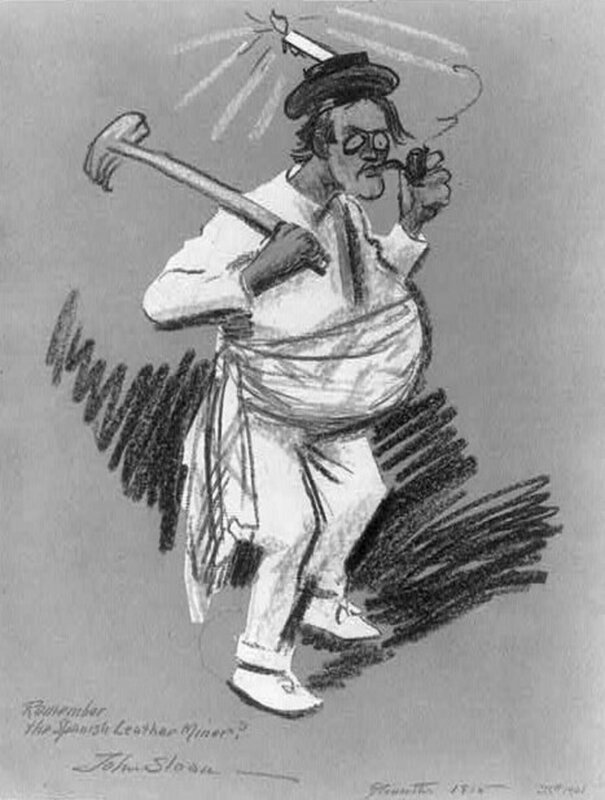 William Wells joined Homer in 1889, and the firm incorporated. Then Laughlin sold his interest to Wells and a Pittsburgh group led by a Marcus Aaron. As the business quickly grew, it moved from OH, and by 1929 they had built eight plants at the new site in Newell, WV, where it is still located today. At the height of production, the company employed 2,500 people, produced 30,000 dozen pieces of dinnerware daily, and needed 1,500,000 square feet of production area. By this time, mass production techniques were necessary, because the old fashioned way of dipping tubs gave way to the use of conveyor belts and spray glazing, and mechanical jiggering machines had to replace man powered molding machines. Some of the same molding machines are still used in the making of Fiestaware until this day though, so although more colors are available, some of the same lovely shapes are still the same. 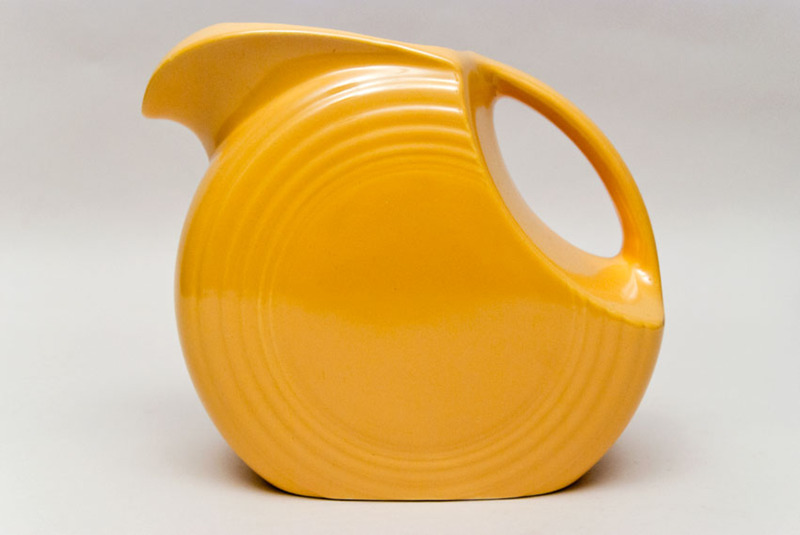 The Fiestaware line was designed by Fredrick Rhead, an English potter who was highly regarded in his field. He struggled to decide which colors to release to the public in the 1930’s. Bright red-orange was popular at that time, so he began experimenting with shades until he found the right one. He offset that with a deep blue. A medium green looked nice with that, and Rhead decided a dark yellow was necessary. The choice of a 5th shade was hard, but finally ivory was chosen. So Fiestaware had its beginning with these colors and a variety of dishes meant for everyday use, large dinner plates, salad plates, large soup bowls and smaller cereal bowls, cups and saucers, tumblers (opaque drinking glasses) and a few serving platters, coffee pots to keep the brew warm, teapots, sugar bowls, creamers, and jam and syrup holders. The idea was to make a strong and durable product and sell it at a low price so that the average household could afford them. Much of the Fiestaware was sold in five and dime stores such as Woolworth’s at that time. New colors were added to the line as they went along. 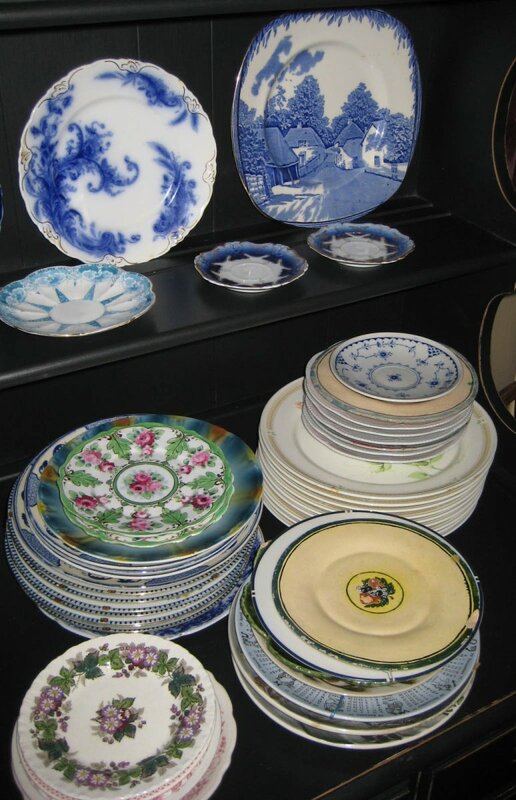 The china is strong, and the plates are large enough for big food portions, so it is still common to see the oval platters and plates used in restaurants. W.E. Wells was succeeded by his son, Joseph Wells in 1930, as he had led the development and expansion of the company from its humble beginnings to a position of respected leadership in its field. Mr. Aaron’s son, M.L. Aaron, succeeded him as President of the business. This partnership was very creative and successful, and besides the wares already in production, they developed a large variety of oven-to-table dinnerware, Oven Serve and Kitchen Kraft. This was much appreciated by housewives as it was a big time saver in the kitchen. The beauty of the colorful glazes associated with Homer Laughlin’s name resulted in the much sought out china for collectors today—Fiesta, Harlequin, and Riviera. On January 1, 1960, Joseph M. Wells became Chairman of the Board and his son, Joseph Jr., rose to the position of Executive VP. Homer Laughlin China is still considered to be one of the biggest dinnerware producers of the world. I realized that I desperately needed new dishes about 15 years ago. I am a bit of a klutz, and rather easily break dishes. So I wanted something durable, that had some weight or heft to it. I also wanted to cheer up my kitchen, and the bright colors of Fiestaware really charmed me. As I researched more, I learned the history I am sharing with you here, and was so intrigued that I bought my first set of Fiestaware, in Cinnabar, sort of a cranberry shade, and added serving pieces that were black, white and gray. But there are so many lovely pieces, I became a collector as well, and began buying other colors too. I love my china, it’s strong, and the splashes of color add so much to my kitchen. I have several vintage pieces myself, my lilac teapot being my most prized. The colors are much nicer and bolder than comes through on the computer screen or in digital photos. It appears that the “new” colors have planned obsolescence, as the Homer Laughlin Company normally adds one shade every year, and “retires” one each year as well. They try to make shades that are very similar to the “vintage” ones, and do a good job. Some of them are only fired for brief periods, such as six months, which really ups the value and lowers the availability of those items. Sapphire, a bright blue, was made exclusively for Bloomingdales, and Chocolate was a limited release as well. But even if there is no interest in collecting, I recommend Fiestaware for everyday use. Now they make an updated line of square dinner plates that look very nice. Whether it’s vintage or new, Turquoise has always been the most popular color. 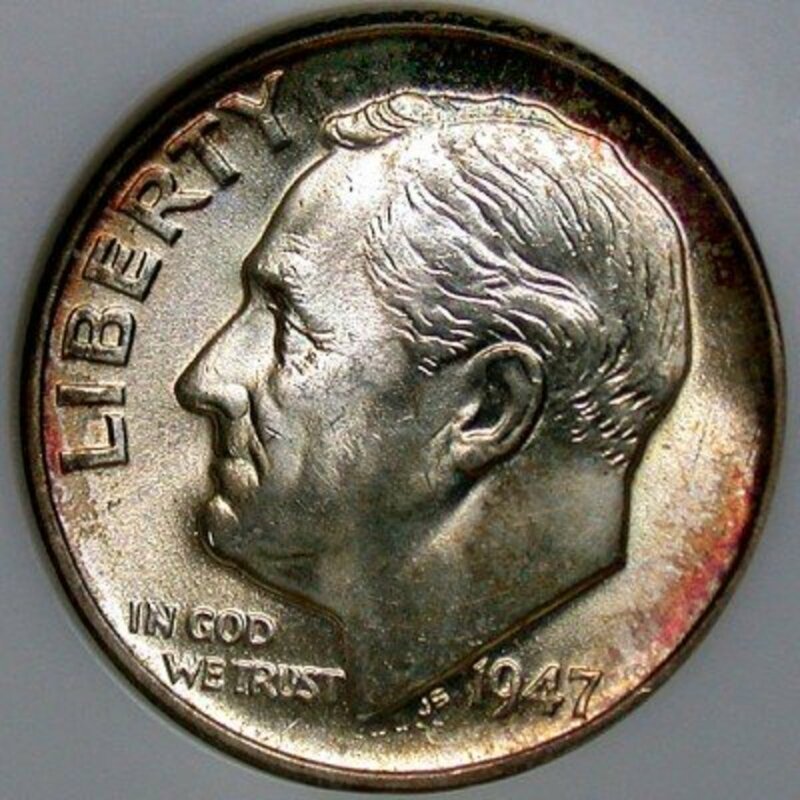 Homer Laughlin Company decided not to add a new color for 2011. Mulberry (a bright violet) and also Fiesta's 50th color! I have searched out antique stores in Philadelphia, and in rural PA, and seen a few interesting vintage red pieces, but they were too expensive. There was a “radioactive” scare about the red pieces in the 1950s, but the dishes were deemed safe, although in recent years the company put out an announcement not to put your vintage red Fiesta in a microwave. It’s so pricey that if you bought a piece you would not be likely to use it for everyday cooking or eating anyway. Fiestaware can usually be found at garage sales, flea markets, and places like Salvation Army stores. My son came home with 2 coffee mugs in a purple shade that was too light to be plum, and different from heather, and they turned out to be lilac, one of the most sought after shades. He paid 20 cents, and each mug is worth $150.00! I have the much coveted Lilac teapot, but the lid was Periwinkle. I asked if anyone had a lilac lid for my teapot, and recently was able to buy one from somebody on E-bay! So my Lilac teapot is worth about $500.00 now, Lilac is very rare. Chartreuse is valued at about the same. The teapots keep your tea warm for a long time. The oval platters are great for parties or just for serving dinner, and I use mine often. The signature item is the rounded, disc water pitcher and everyone loves the mini disc pitchers. They make some beautiful tiny vases as well, and I water small plants with them. If you become interested in buying or collecting, you will start “speaking” Fiesta in a few years. I have heard women who are looking for a shirt to match a tie for a man in their life, who will say, “I need something darker than Periwinkle but lighter than Peacock.” Or I’ll be describing a new, red clutch I bought and tell someone “It’s not as bright as Scarlet, but not as dark as Cinnabar.” So the cultural phenomena of Fiestaware has created a language all its own. I have bought Fiestaware from two reliable companies I found online, Dishesfast and Zestydishes. Both have good merchandise, although sometimes the prices can be high if you want a "retired" Post 1986 piece or a vintage one. I have personally spoken with representatives of these stores, and both have kindly helped me look for specific pieces. The prices on E-bay are usually way too high. But you can get some bargains from people who don't know what they have. Be careful if you are buying a color that has several shades, pictures online don't always show the difference. I got a brilliant yellow teapot, when I wanted the pale, buttery yellow, and had to return it. Some people see old china if they are getting rid of stuff in the attic, or cleaning out a relative's house, and don't know what it is. So now you can pick up a valuable piece for a small price. Check the identifying markers I have pictured above to be sure it is Fiestaware. It's also wise to have your china shipped UPS ground, as it makes a heavy package and you do not want to pay more for postage than you did for your china! I notice many couples use the sites as gift registries, and think this is an excellent and sensible choice for a shower or wedding gift. It seems many are mixing colors of different pieces to create an individualized color palette, and I wish I had thought to do that! It really is pretty and adds a funky Art Deco look to your kitchen. And you can be proud to be buying china made in the USA. I recently saw a beautiful place setting in Chocolate, Ivory and Evergreen. I just became aware of a wonderful site that has loads of info about Fiestaware, if you love it as much as I do and can never get enough! It is http://www.fiestawarediscontinued.wordpress.com. and it has some pictures of beautiful, older pieces on it. Check it out! I finally found the lilac lid for my teapot, but if anyone has a large teapot that needs a periwinkle blue lid, I have one! The tiny creamer pitchers are really cute, but are expensive in the older colors. Lately I have found that they are really handy for adding water to your iron, or for watering small, delicate, plants in little pots. They are adorable just holding little kitchen gadgets. I began buying the tiny fruit bowls, just to have a piece in each color. It's amazing how much my family uses them! They are a great place to put your used tea bag after you brewed your cup. I mix up serving sauces for dinner in them all the time. And they are just the right size for a little snack, a cup of fruit or nuts, or maybe some M&M's if you need a chocolate fix. The Lemongrass one is shown above, although the color in person has a little more yellow in it than chartreuse. Online pictures do not always show the true color, so check around, or this author is familiar with all the colors, so if you have any questions please feel free to contact me. There are many online color charts to be found. So treat yourself to a few pieces of Fiestaware, and you may turn into a collector too! I had a few questions. Are you still available? I want to sell some vintage pieces, mostly plates and bowls. Ty, I am still available if you have a question I can answer.. I don't buy anymore. I use Fiestaware and have a good vintage collection of my own. But if you have a question about authenticating a piece, I have pictures on all the trademarks on the article. They didn't change them when they began reissuing again the second time. There is a big market for the stuff on Ebay. It works better for buyers, as many people find Fiesta in the attic and sell it cheap, not realizing what they have. Sellers are more savvy, but some of them aren't aware of the value of certain colors. My son found me two lilac mugs for 25 cents a piece at a Salvation Army store, and they are worth $150.00 each. I had a lilac teapot, but it had a periwinkle lid, and I got a lilac lid for about $10.00 on Ebay. The pot is worth about $500.00. So it may help you to look there. Good luck. If you have fiesta pieces that are twenty-years-old but without markings, are they fake? They should have at least one of the markings I show in the article. 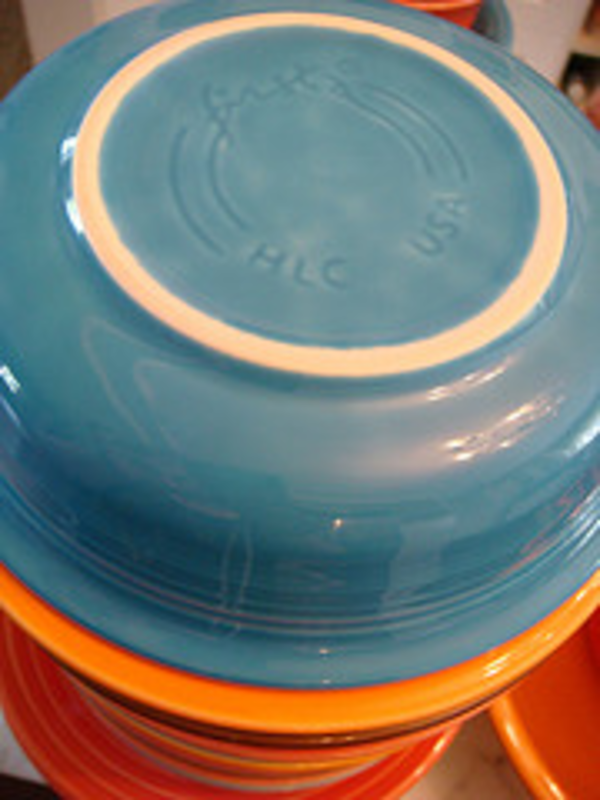 In fact, some pieces show three, the Fiestaware written in script, the HLC, and the stamp which says Homer Laughlin China. So if they don't have one or more of those, they are fake. The Titanic—Were These Pirkenhammer Dishes On That Ill-Fated Ship? HLC didn't make it easy for us, because they mark the china the same whether it's the pre 1986 old stuff, or the after 1986 pieces. If it has the raised "H" by itself, that usually means it's an older piece, so hang onto it, it will be worth more. The stamped "Fiesta" with made in USA is normally older too. 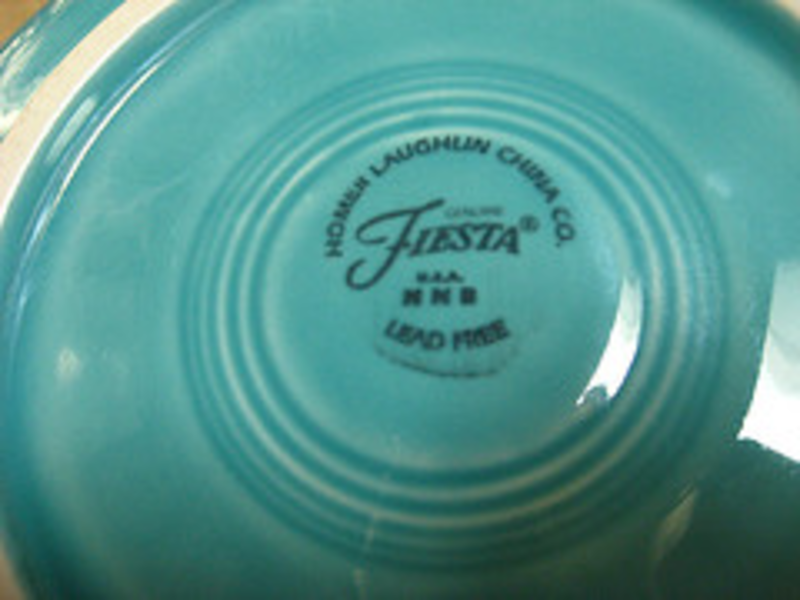 In the newer, after 1986 pieces, usually the Fiestaware or HLC or Made in USA are etched into the bottom of the piece, and the word Fiesta is written in a flowing script, though still etched. I hope that helps. Turquoise has always been the most loved color, both times around. I find the newer colors are getting too bold, although I like color, the shades aren't as nice. I try to get something in each color, even if it's something small, like the fruit bowl. The Flamingo Pink is lovely, I like it better than the original rose. Also, there's a site about Fiesta which came to me when it's author read this article, http://fiestawarediscontinued.wordpress.com, run by some very knowledgeable people. Your example is printed on a turquoise/blue bowl above. Can you tell me when it dates from? Thanks. http://www.fiestawarediscontinued.wordpress.com. He seems to live in an area near Ohio where the original owners were, and has connections. I'm looking for the top of a lilac teapot, the pot is lovely, but has a periwinkle lid. Also, check out Ebay. I am new to it myself, but if I find out more I will share! TAke care. Hello! Thanks for the great info. I found some pieces at a yard sale and I'd like to sell them so I'm wondering if you have any tips on how to price out these pieces. 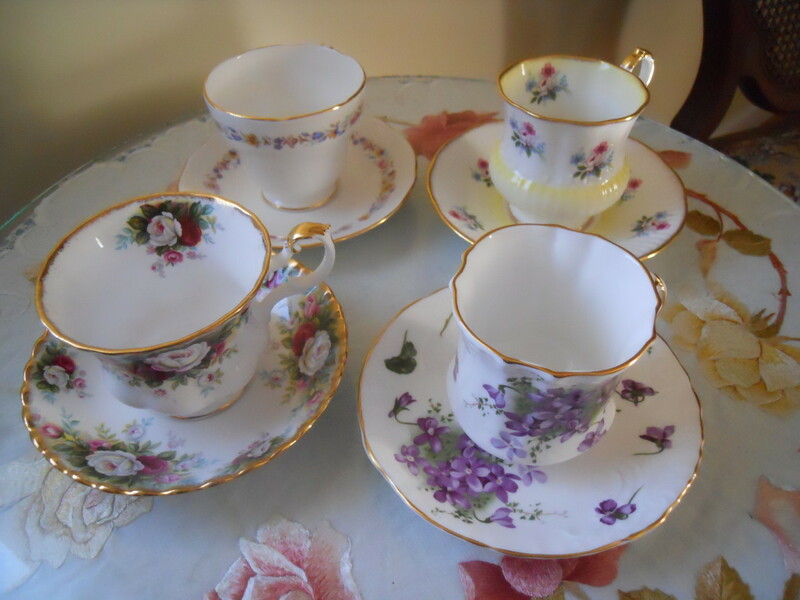 I have 3 lilac teacups and some vintage rose pieces. Thanks! Thanks for visiting. I love Fiesta. The oval platters are my favorite. Each year they make a new color, this year it's Flamingo Pink, a sort of rosey pink with a tinge of orange in it. 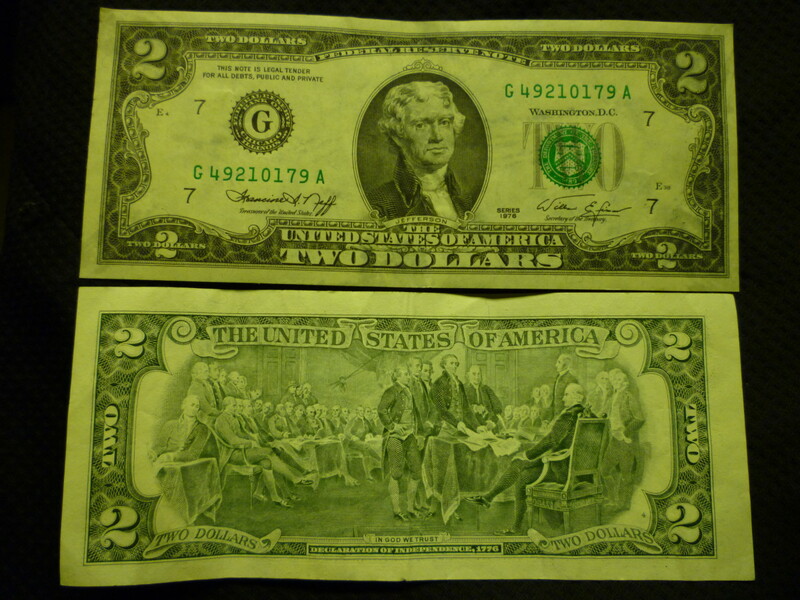 They also "retire" one color each year, a planned obsolescense. I began with Cinnabar, a cranberry color, and got the other side pieces in black and white. Later, they made Juniper, a beautiful teal shade, I wish it was out, my accessories would have made a lovely contrast. If I was buying it all again, I think I'd get place settings in 12 different colors, or 8, depending on the amount that suits your needs. The carafes are great too, they look gorgeous. Most big department stores carry Fiesta, but only the few, newest colors. The sites I gave here have a bigger selection, and wrap it well to be sent by mail. Thanks for writing and commenting. HLC really had a huge operation going, and apparently people loved the china. They are still making a new color each year, one very simliar to an older one. There is also a line of square dishes, but I am unsure how successful they are. I think Fiesta lovers will continue to like the circle pattern. Take care. 30,000 pieces of dinnerware daily.... that's impressive. Nice to see you. No, I never did get a reason why production stopped in the 1970s. Earlier people thought the red color was radioactive, and if used in the microwave would be dangerous, but HLC fought that claim and won. I was facing my 25th wedding anniversary, and realized I never picked a set of dishes or china on my own. My Mother in law was so good to me! But I wanted something different. At the time kitchens were going thru a stage where gray and white was popular. At first I loved it, because when we bought the house it was move in ready, but the colors were all bright and varied. I wanted a heavy china, because I'm a klutz. And I wanted color. I did research, and ordered my set online at Dishesfast. The woman there, Liz, is an angel, she actually looks for specific pieces for me! The newer colors are too bright for our times though. The Lemongrass isn't as pretty as chartreuse, and paprika, an orange, red, is awful. But I love the stuff. The oval platters are great for snacks, and now I really mix it up. I wish in the beginning I had ordered place settings in different colors! I went with Cinnabar, a cranberry shade, because of my gray and white kitchen, which is now light green. I realized the last time we came home from Jamaica, our house is really influenced by the pastels. Have a great New Year, Sylvia! I heart Fiestaware. I own only a cup and saucer because if I let myself buy more I wouldn't stop. Have you seen the Fiestaware pitchers on the U.S Postal Service first-class stamps honoring industrial designers? And I am wondering whether in your research you came across the answer why production was suspended in the 1970s? Hi and thanks for commenting! I have never been to the outlet in NC. There is a small one called the Holley Ross Pottery Barn in PA, about 10 miles west of the Pocono region. They are open only in Spring thru the end of Dec., but they have a large selection and good prices. I picked up a lilac teapot, but the lid is periwinkle. I love my Fiesta, and am happy that people are leaving messages. It's one of my highest rated hubs, but until now nobody left comments. There is a 75th anniversary Christmas ornament on sale in stores now, that stock Fiestaware in the latest colors, I bought one last night in Lemongrass. I love Fiestaware and have visited the factory outlet. Great hub! Sorry I didn't answer sooner, the comments were disappearing and I also couldn't leave any, apparently others were affected too. I love my fiesta, and have become a collector too! This is one of my most visited threads, but you are the first to post on it! I don't really like the Paprika shade, too red/orangey. Have loved the Fiesta line for many years and appreciate the information you provided here. This answers a lot of questions not covered in the book I have. I had some luck a few years ago selling some rare pieces on eBay.